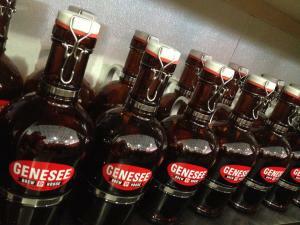 Celebrate National Beer Day in Rochester, NY! While we’re pretty sure there is enough demand to celebrate this “holiday” more than once a year, Thursday, April 7 marks the official recognition of National Beer Day. We have plenty of cause to celebrate National Beer Day in Rochester; after all we’re home to the oldest brewery in New York State (Genesee Brewery, which today is owned by North American Breweries). In recent years, the craft beer scene in Rochester and the Finger Lakes has exploded. Rochester is home to nearly a dozen craft breweries, with that number multiplying many times over when the dozens of breweries and distilleries throughout the Finger Lakes region are accounted for. If you find yourself in Rochester for National Beer Day, rest assured there are plenty of places for you to celebrate this holiday for beer-lovers! 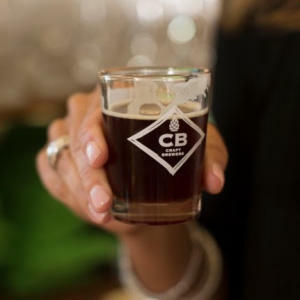 Here are just a few ways to get into the spirit of National Beer Day in Rochester, N.Y.
With a history of making beer in Rochester that spans over 125 years, any true beer-lover will pay a visit to the Genesee Brew House – home of the Genesee Brewery – on April 7. In honor of National Beer Day the Brew House will offer daily specials and live music 6 p.m.-8 p.m. by The Travis Prinzi Band. Travis Prinzi Band presents a unique blend of the old and the new: covers and originals in the tradition of Gordon Lightfoot and Bob Dylan, as well as current artists like The Decemberists and Glen Hansard, along with the occasional fiddle tune! Enjoy a very happy hour at The Daily Refresher, a bar known just as much for its craft cocktails as beer, on National Beer Day. Happy hour at the Refresher: $3 draft beers from 5 p.m. -8 p.m. on Thursday, April 7. There’s something for every beer-lover in Rochester and the Finger Lakes. No matter how you choose to celebrate National Beer Day, we’re sure there is something here for you to enjoy. But please, remember to celebrate and drink responsibly!